looking again! also looking at similar boats by other manufacturers of similar quality. Thanks. Am looking at new too. thanks for the heads up (!) i had missed that one (i’m northeast us). Are you still looking? I am selling my Pacific V2600 and live in the Northeast. 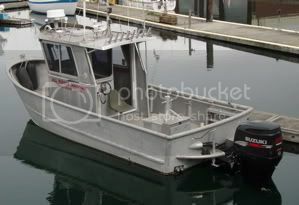 This one is in Sitka AK, was used as a commercial fishing boat.